Sharks of almost all species are notoriously slow breeders, which greatly restricts their ability to bounce back from overfishing. In April 2008, the UK government afforded the angel shark full protection under the Wildlife and Countryside Act. 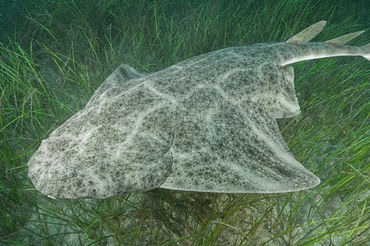 Once considered abundant in the Atlantic Ocean, the angel shark (Squatina squatina) was classified as "critically endangered" in 2010. Now, i hope they leave it alone!!!! Beautiful and magnificent! I agree with Animae--LEAVE THEM ALONE! Great news. Pray that they are safe.